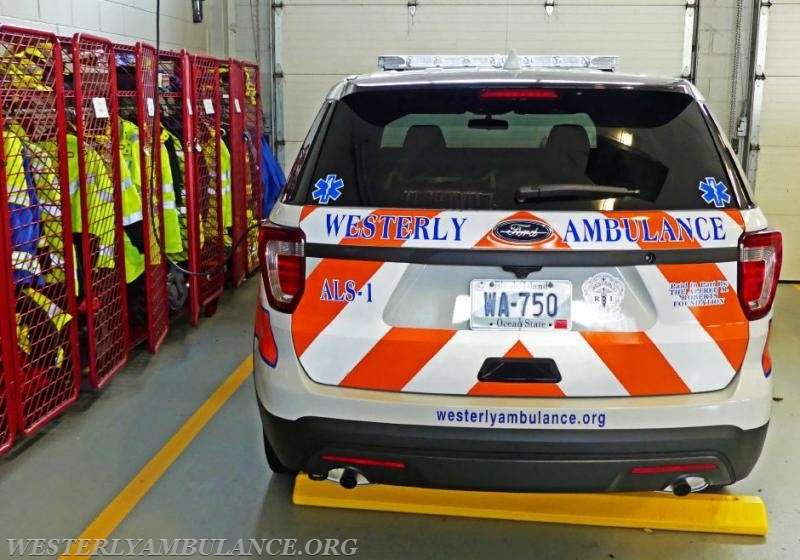 WESTERLY — In a medical emergency, having the right tools available and a capable vehicle can mean the difference between life and death. 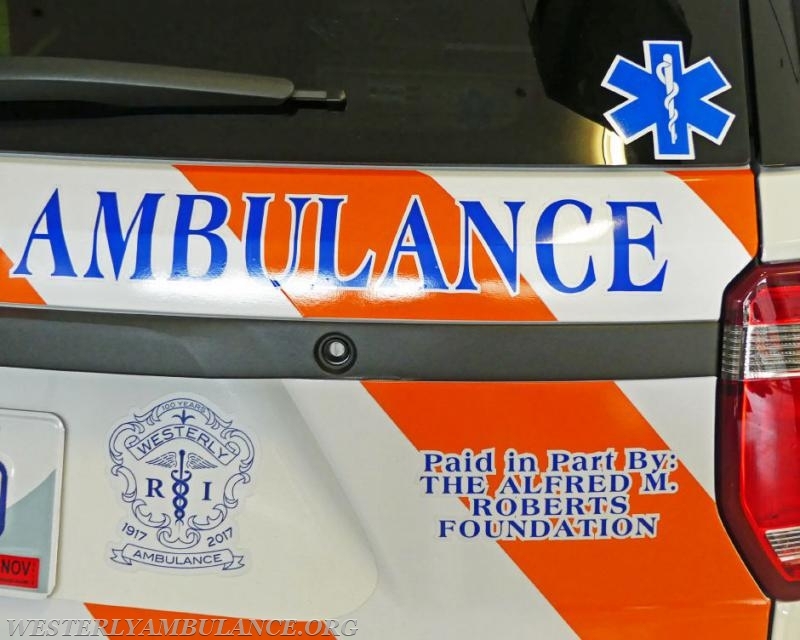 Thanks to support from the Alfred M. Roberts Jr. Foundation, the Westerly Ambulance Corps is ready. 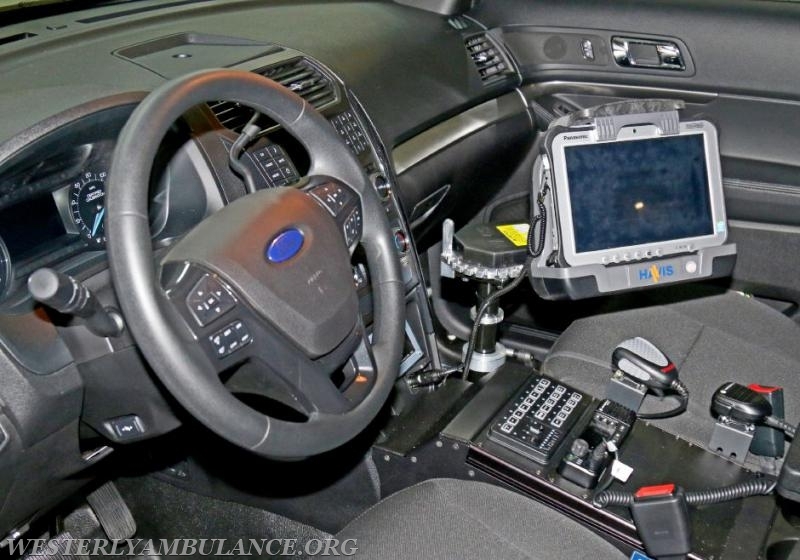 The corps last week began using ALS-1, a brand new and fully stocked 2017 Ford Police Interceptor SUV that EMS Administrator Kenneth Richards III said will enhance the department’s response abilities. The non-transport response vehicle, known as a “fly car,” was purchased for $37,500 and is fully equipped for all medical calls, but specifically outfitted to improve cardiac-related responses. The SUV was acquired three weeks ago and put into service last week, officials said. 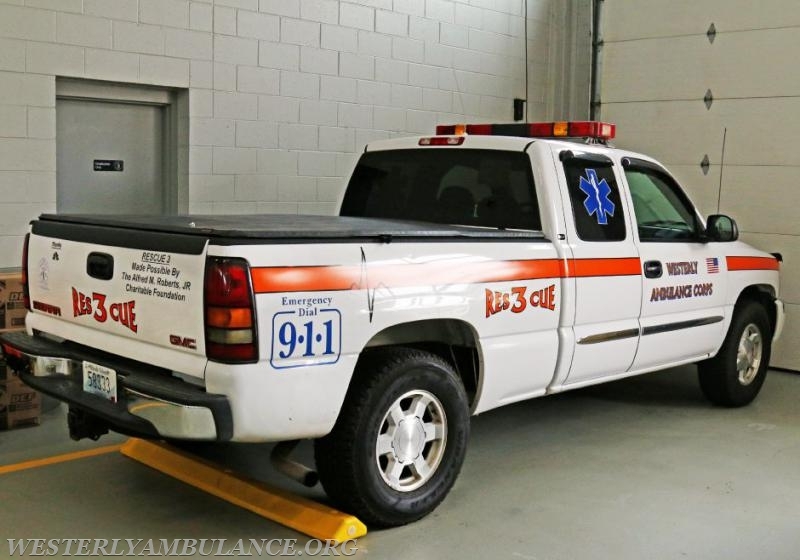 It will eventually replace Medic 3, a 13-year-old pick-up truck with 120,000 miles that has begun to age beyond repair. Medic 3 had been used as a beach vehicle and remains in service, Richards said, but is reaching the end of its useful life. 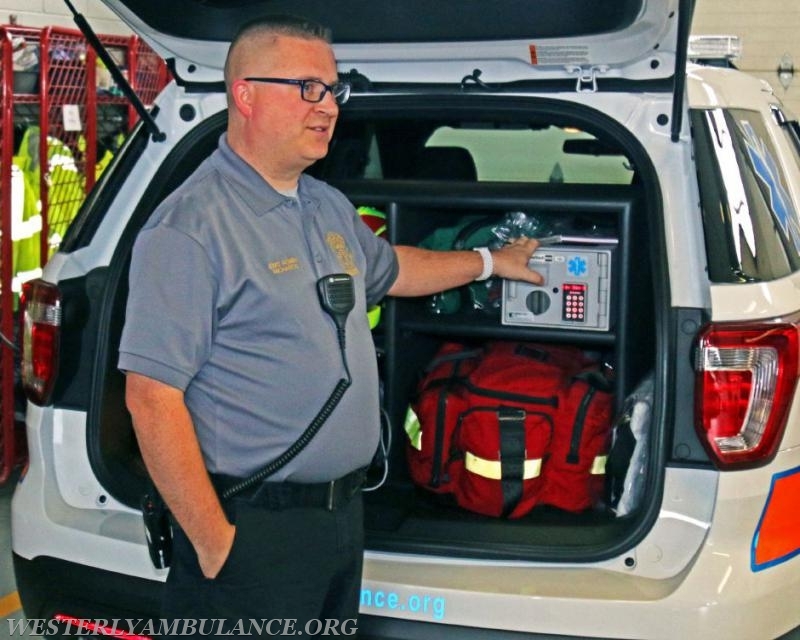 The SUV contains a secure and remotely-monitored narcotics safe, fully accessible cardiac response equipment, heart monitoring systems and more. “It doesn’t have a stretcher, but it’s capable of nearly any response,” he said. Richards said if not for the Roberts Foundation, which provided 50 percent of the purchase cost, having a road-ready replacement SUV would not be possible — at least not this year. The charitable organization provides grants in both Westerly and northern Florida in honor of the late Alfred M. Roberts Jr., a decorated Navy commander. The nonprofit has remained active in supporting the Westerly Ambulance Corps since at least 2003, said Corps Assistant Chief Michael T. Brancato. Brancato said that early funding included both one-time funds for the purchase of Medic 3, the vehicle now being replaced, as well as the establishment of the Rescue 3 program, an ongoing effort which has allowed Westerly Ambulance to hire and place an EMT each summer to meet the seasonal needs specific to Watch Hill. The annual program has improved responses, officials said, but does come with costs of approximately $10,000 to $15,000 per year. Richards and Brancato each said the Roberts Foundation has always funded these costs. In addition, Brancato said the nonprofit has provided a wide range of other services and equipment for the corps over the years, including various Lucas CPR pre-hospital use equipment, monitors and more. He said the foundation also assisted in meeting needs when the agency built a new headquarters less than a decade ago. 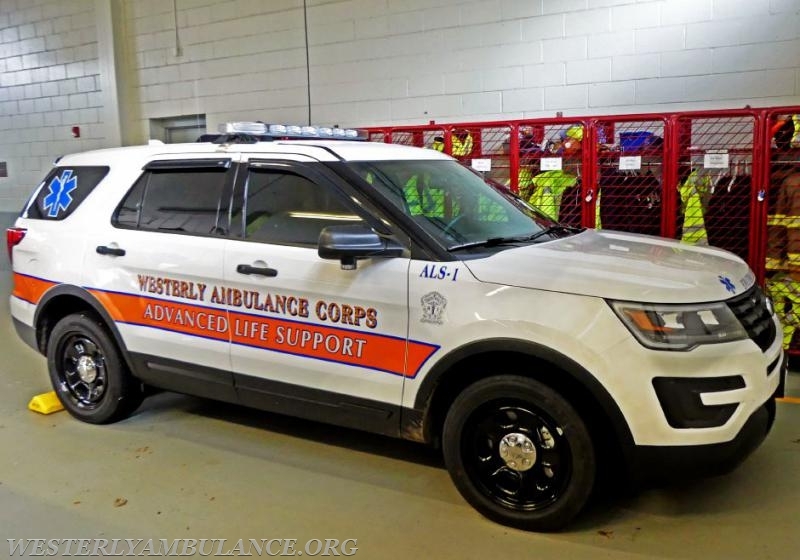 Brancato and Ronald J. MacDonald III, president of the Westerly Ambulance Corps, each said they are looking forward to working with the foundation more in the years to come as well. Both said the organization has taken an interest in helping meet the corps’ and community’s needs. A message left for Stephen Greene, board member with the Roberts Foundation, was not returned.